Five Rangers players in the Victory Shield squad for game against Northern Ireland at Dens Park on Friday 7th November 2008. The youth team return to league action this Saturday 1st November. After a two week break due to five on the squad being away with Scotland in Hungary for the UEFA Under19’s Qualifiers. Danny Wilson, Jamie Ness and Stephen Stirling played in all three games as Scotland emerged top of their group. Grant Adam and Ross Perry were also in the national squad but were not used in any of the games. They were due to be away to Hamilton Accies this weekend, but the fixture has been reversed and will now go ahead at Murray Park on Saturday at 11:00. Scotland’s Under 19’s Today qualified for the next phase of the UEFA Championships. They defeated hosts Hungary 1-0 to top their group with a 13th minute goal from Rangers, Stephen Stirling. So Scotland go through with the second placed Hungarians. In the other game Azerbaijan beat San Marino 5-0. 18 Jim Forrest (Celtic) For McDonald 65 minutes. 7 Lee Currie (Hibs) For Tidser 82 minutes. Scotland’s Under 19’s ran up 8 goals in an easy win over San Marino in the Uefa Under 19’s Qualifier today in Hungary. Scotland went in at the break 6 goals up, Alex McDonald (Burnley) scored for the second game running in the 5th minute, Johnny Russell (Dundee United) made it 2-0 after 14minutes. Stephen Stirling (Rangers) then converted penalties in the 18th and 30 minutes, and completed his hat trick in 33rd minute. McDonald completed the first half scoring in the final minute. Five minutes after half-time Johnny Russell made it 7-0 and Lee Currie (Hibs) completed the scoring in the final seconds. In the other game Hungary scored in injury time to beat Azerbaijan 1-0. If Scotland avoid defeat against Hungary in Saturday’s game they will qualify for the next phase. 4 Jonathan Crawford (Aberdeen) For Ness 46 minutes. 10 Leigh Griffiths (Livingston) For Booth 77 minutes. 9 Gary Glen (Hearts) For McDonald 47minutes. Rangers have a home draw against Brora Rangers in the Youth Cup 3rd Round. This is the round where the teams that progressed to last season’s later rounds enter. Brora Rangers got a bye in the 1st round and defeated Nairn County 7-3 away from home in the 2nd Round. It is a great draw for the youngsters from the highlands and they will no doubt be looking forward to their trip to Murray Park or maybe even Ibrox. Ties should be played by Sunday 9th November. Scotland started their UEFA Under 19’s Qualifying with a 1-1 draw with Azerbaijan in Hungary this afternoon. Trailing 1-0 after 4 minutes, Burnley’s Alex McDonald equalised in the 30th minute. In the section’s other game Hungary beat San Marino 6-0. 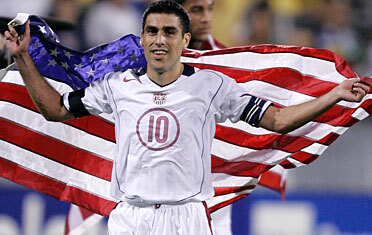 Claudio Reyna’s Debut In Scotland ? Since Claudio Reyna’s Rangers debut was against Dundee at Tannadice and not Dens Park you may be saying it was a trick question. You would be right that it is a trick but wrong with the answer. Claudio’s first three competitive games in Scotland were at Pittodrie !! Going back to my previous post “FIFA Under 16 World Cup Scotland 1989”. Claudio played in all the USA’s three games in Group B based at Pittodrie. They opened with a 1-0 win against Brazil, but lost heavily to East Germany by 5-2. The were 2-0 against Australia after 70 minutes only to lose two late goals and miss out on qualification. So I thought it would be interesting to look at what happened to the Scotland squad from that tournament. Jim Will (Arsenal) As stated in the previous post Jim was awarded the Adidas Golden Ball for player of the tournament. He never made an impact and left in 1995 to return to Scotland and Dunfermline Athletic. He again failed to make a break through playing only a handful of games and if my memory is correct he joined the police force. Billy Dolan (Celtic) Never made a break through at either Celtic or St. Mirren, who he Joined in 1994 on a free transfer. I believe he became a postman after leaving full time football. Jim Beattie (Celtic) Jim never played a first team game at Celtic and was freed in 1993. He has short spells at St. Mirren, Ayr United and Albion Rovers. Then had a long junior career with Petershill. Eddie Conville (Dundee United) From what I remember he was a pal of Duncan Ferguson, never made a footballing impact at Dundee United though. Kevin Bain (Dundee) Captained the team at the finals and went on to play first team football at Dundee, including a League Cup Semi Final against Hearts in 1996. A short spell on loan to Portadown was followed by a brief spell with Rotherham United. Kevin went on to make over 200 appearances in a career with Stirling Albion, Brechin City, Peterhead & East Fife. Gary Bollan (Dundee United) One that needs no introduction to Rangers fans having spent three years at Ibrox. Made of 50 first team appearances with Dundee United before moving to Rangers. 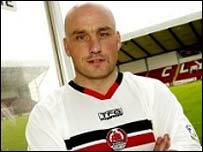 Then played for St. Johnstone & Livingston and briefly returned to Tannadice in 2003-04 season. This was followed by spells at Motherwell, Clyde & Brechin. Gary is currently a coach and Head Of Youth Delvelopment at first division Clyde. Neil Murray (Rangers) Neil played over sixty games in Rangers first team. The highlight was scoring in the 2-1 Scottish Cup Final win over Aberdeen in 1993. He them became a bit of a football nomad, playing in Switzerland, France and Germany as well as spells in the UK with Dundee United, Grimsby Town, Falkirk and Ayr United. Now on Setanta as a summariser on their Bundesliga coverage and is also a football agent. John Lindsay (Dundee United) Never made a first team appearance for the Tannadice club. I seem to remember he did player in the lower leagues possibly with Arbroath, I think injury then forced him to retire from playing. Craig Flannigan (Rangers) No first team appearances for Craig, although he was a regular scorer at youth and West Reserve League level. He played for Clydebank and Albion Rovers after leaving Ibrox. With brief spells at Partick Thistle, Queen Of The South and Queen’s Park. 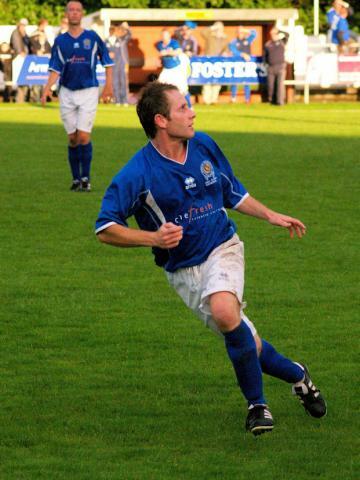 Kevin McGoldrick (Morton) Looked the part during the tournament and went on to make 15 appearances for Morton. By the age of 19 he was featuring in an article in the Daily Record, a couple of stone heavier and playing amateur football in Paisley. Paul Dickov (Arsenal) The most successful of the squad, going on to gain 10 full international caps and scoring 1 goal (against The Faroe Islands). Paul has now played over 300 games in the English leagues, most notably with Manchester City, Leicester City and Blackburn Rovers. Returned to Leicester City this season signing a two year contract. Martin Dickson (Kilmarnock) As second choice goalkeeper Martin had the distinction of being the only player not to feature in the tournament. I’m afraid to say I haven’t a clue what happened to him after the finals. Brian O’Neil (Celtic) The second of three players to go on and play at full international level, gaining seven caps. Made over 100 appearances for Celtic but struggled a bit when he moved to Aberdeen. A transfer to Vfl Wolfsbug gave his career a spark again. After a brief spell at Derby County he went on to player over 100 games for Preston North End. Tom McMillan (Dundee United) Like John Lindsay another I can’t remember too much about after this tournament. Dropped into the lower leagues for a spell with Abroath, and maybe it was Tom McMillan who retired through injury. Never played for Dundee United top team. Ian Downie (Aberdeen) Failed to make the grade at Aberdeen, he had short spells with Forfar Athletic and Arbroath. Ian is now a postman in Kirkcaldy. Andy McLaren (Dundee United) Okay, who got him as the third player to gain a full international cap ? One cap as a substitute in a friendly international against Poland. Often more in the news for his off field pursuits than on field. His still managed to tot up around 300 games and nearly as many clubs. Well not quite, only Reading, Livingston, Kilmarnock, Partick Thistle, Morton, Dundee, Ayr United as well as Dundee United. David Hagen (Rangers) Didn’t make a lot of first team appearances, but did play in the Champions League, as a late substitute for Ian Durrant against Club Brugge in 1993. Nearly had as many clubs as Andy McLaren After leaving Rangers. Turning out for Hearts, Falkirk, Livingston, Clyde and Peterhead. Scott Marshall (Arsenal) Brother of Gordon Marshall former Rangers reserve (and later Celtic) goalkeeper. He made a few first team appearances at Arsenal, his brief loan spell at Celtic is remembered fondly by Rangers fans. His career after that was confined to the lower leagues in England, playing with Brentford and Wycombe Wanderers. So Claudio Reyna and Luis Figo went on to make a major impact on football after that tournament, were there any others ? 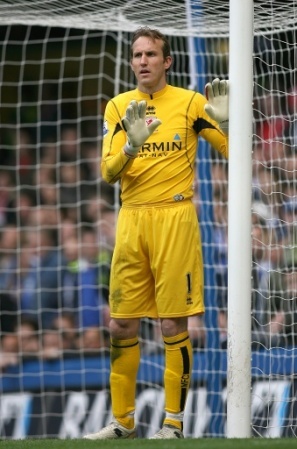 Mark Schwarzer (Australia) Currently in the Premiership with Fulham, having played over 350 games for Middlesbro’. Gained over 60 caps for Australia, playing in the 2006 World Cup Finals in Germany. Tony Popovic (Australia) Played in the J League before moving to Crystal Palace where he played for 5 years. Another who Played at the last world cup, he is now back playing in Australia with Sydney FC. Zeljko Kalac (Australia) The third member of that Australian squad to go on and play at the 2006 World Cup. As second choice keeper he never played in any of the games at Pittodrie, but managed to play in the third group game at the last World Cup. Currently at AC MIlan, he has also played in Holland and in England with Leicester City and Wolves. 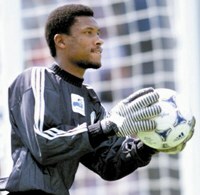 Victor Ikpeba (Nigeria) Most noted for his time at Monaco under Arsene Wenger, where he played nearly 200 games. Also played with Broussia Dortmund in the Bundesliga. Score the only goal in Nigeria’s win over Bulgaria in the group match at France 1998. Roberto Abbondanzieri (Argentina) Another goalkeeper and another who played at the last World Cup. Currently with Getafe CF in Spain, was previously with Boca Juniors before coming to Europe. Mohammed Al Deayea (Saudi Arabia) I know you haven’t heard of him, but he did go to four World Cup Finals. He played in USA ’94, France ’98 and Japan 2002, was in the squad for Germany 2006 but didn’t play. He was capped 181 times by his country and played all his club career in Saudi Arabia. Oh and he was another goalkeeper. Scotland started this year’s Victory Shield with a win against Wales at Broadwood. David Smith of Hearts gave Scotland a 1-0 lead at half time. It looked like Scotland would get chance to double their lead when Rangers Dylan McGeough was brought down by the Welsh keeper, but incredibly the referee waved play on. It looked to be a significant decision when not long afterwards Wales equalised.A win was secured in the final minutes when Fraser Fyfie of Aberdeen fired home. All five Rangers players in the squad featured in tonight’s game. Adam Hunter, Michael Noble and Dylan McGeough starting. With Nicky Main and Kyle McAusland coming on as substitutes at half time. Scotland’s next game in the Victory Shield is on 7th November against Northern Ireland at Dens Park.